I hope everyone's holiday season has been filled with love, joy and much great food! I took a little break from blogging to enjoy some much needed r&r in the form of snow blizzards in Mammoth, family time and overeating. 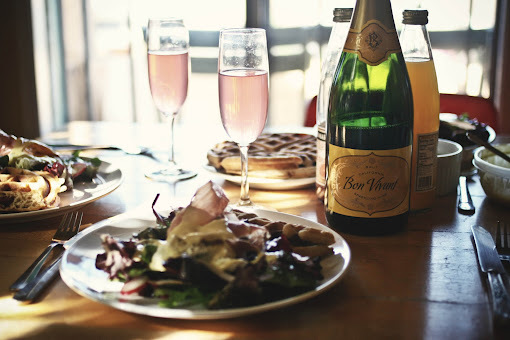 Speaking of overeating, for New Years Eve, I decided to throw a little brunch together for some of my friends. The menu was... fantastic. I've never made so many great things in such a small span of time. Let's just say, what a way to bring in the new year! Our brunch extravaganza; mimosas are a must! 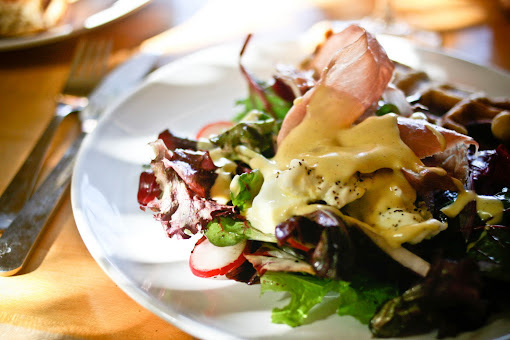 First, on the menu was the 'Eggs Benedict' salad. This one is the stunner! It's gorgeous, filled with oodles of color and even more flavor. Even though I kind of piled it all together, it still made my eyes water a bit. Please, please make this - it's a wonderful reinvention of the brunch classic and it will be loved by all. Pinky promise. Preheat the oven to 400 F. Arrange the proscuitto slices in a single layer on a rimmed baking sheet. Bake until the proscuitto is crisp, about 12 minutes. Remove from the oven, let cool, then coarsely crumble. 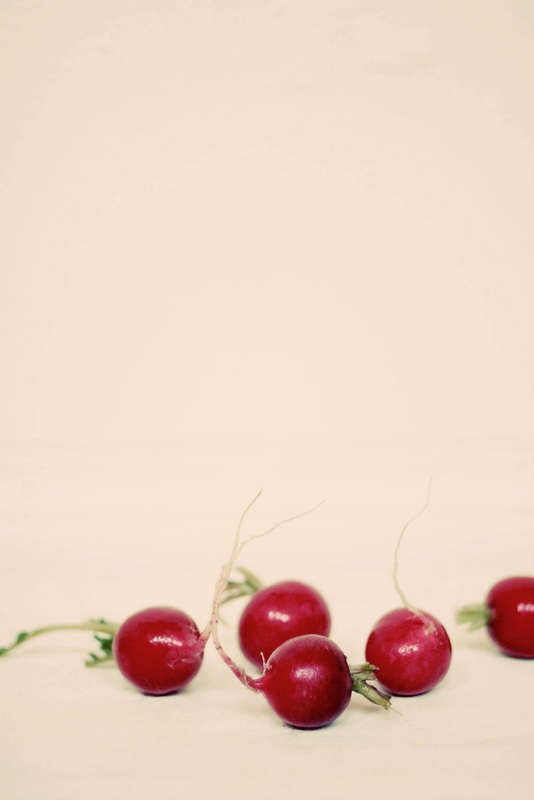 Whisk the oil and vinegar in a large bowl, season with salt and pepper, then toss the baby greens, radishes and red onion in the mixture; set aside. To make the hollandaise, whisk the egg yolks and lemon juice in a medium bowl. Gradually whisk in the melted butter, then set the bowl over a medium saucepan of gently simmering water (do not allow the bottom of the bowl to touch the water). Whisk constantly until the mixture thickens and an instant-read thermometer registers 140 F for 3 minutes, about 5 minutes total. Remove the bowl from over the water, whisk in the last 3 ingredients. Cover to keep warm. Divide the tossed salad among four plates, sprinkle with the crumbled proscuitto, and top with a poached egg. Drizzle with the hollandaise and enjoy. 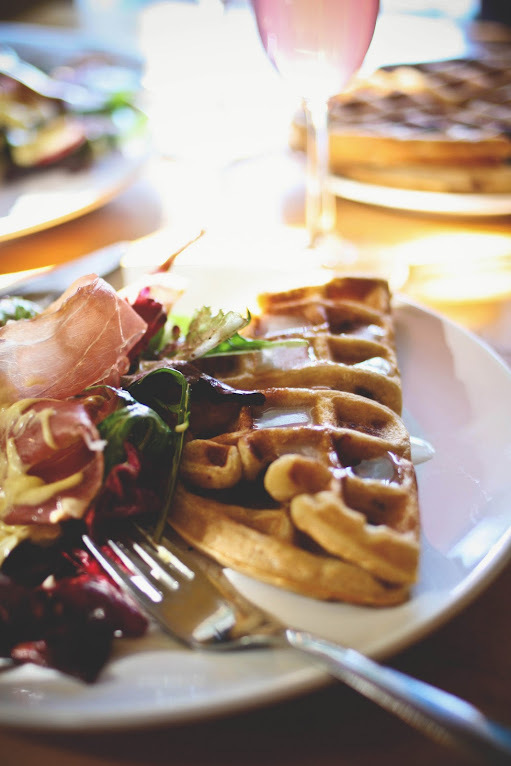 Please, let us bask in the gloriousness that is brown sugar-bacon waffles. Really, they are that spectacular. Every bit as spectacular as they sound and as they look. Oh man, they are just all that and a bag of chips! Joy the Baker really has breakfast down to a science. Her pancakes, her waffles, oy vey - all a big hit for me. But then... it gets better. Yes, it's possible. You know that ever existing problem of a carton full of buttermilk and what to do with it? Yeah, we all have that problem. Buttermilk only comes in huge containers, yet recipes only call for a wee bit of it. 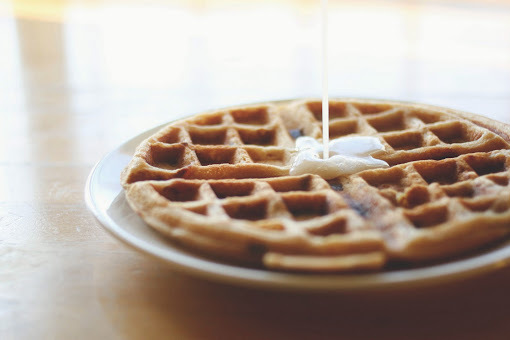 Well to use up the remainder of your buttermilk, make buttermilk syrup to go with your waffles. It's a double whammy: finish up your buttermilk and enjoy the best homemade syrup EVER! To make the bacon, preheat the oven to 375 F. Spray a baking sheet with non-stick cooking spray and line with foil. Arrange the bacon in a single layer on a baking sheet. Sprinkle generously with brown sugar. Place in the upper third of the oven and bake until the sugar is caramelized and the bacon is brown and crispy, about 10 - 15 minutes. Remove from the oven and immediately remove the bacon slices using a pair of tongs. Place them on a cutting board, not paper towels (because they will stick) to cool before chopping. Once cool, chop the bacon into bite sized pieces and set aside. 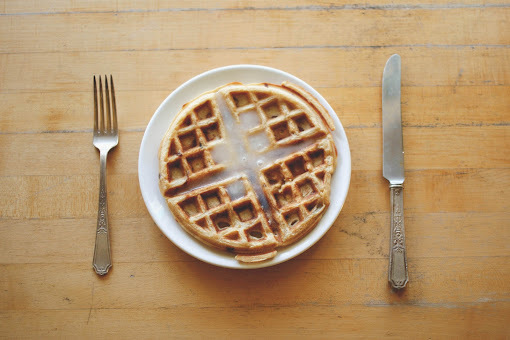 Set up the waffle iron on a level, clean surface and turn on to preheat. In a large bowl, combine the flour, baking powder, baking soda, salt and brown sugar. Whisk to blend. In a medium bowl, whisk together the eggs, oil, buttermilk and vanilla. Add the wet ingredients to the dry and fold. Once almost fully incorporated, add the bacon bites and stir. Try not to over mix the batter or the waffles will become tough. It's okay if a few lymph remain in the batter. Cook according to your waffle machine instructions. Serve with maple syrup. In a medium sauce pot, combine the butter, buttermilk and sugar. Over medium heat, bring the mixture to a boil while whisking constantly, then turn off the heat. Add the vanilla and baking soda (watch out, it will bubble vigorously) and whisk to combine. 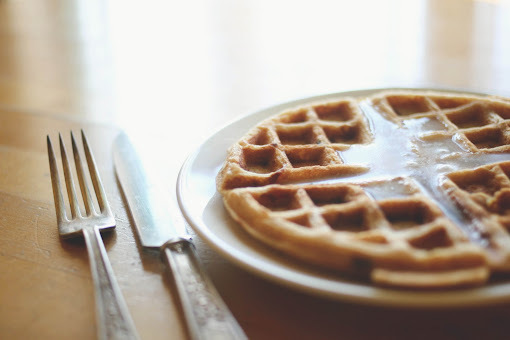 Serve warm with pancakes, waffles, whatever. Last, but not least, was brunch dessert. Brunch dessert you ask? Yes, I coined that term myself... I think. Brunch must always end with dessert. In fact, all meals should end with dessert in my opinion. 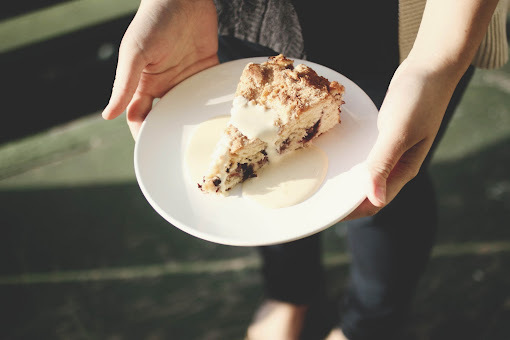 This coffeecake was the perfect way to end our lovely, lovely afternoon. The cake was moist, filled with great flavor and the crumb, oh that crumb. When is crumble topping ever not loved? I think it is quite possibly the most loved thing on this planet we call Earth. Of course, I had to top it off with a decadent vanilla-bean crème anglaise. Of course, right? Well this crème anglaise tasted like melted vanilla ice cream, and I mean that in the most wonderful way possible! Preheat the oven to 375 F, with a rack placed in the middle of the oven. Generously butter a 9x2" round cake pan. Line the bottom with a round of parchment paper, then butter the paper. Scrape the seeds of the vanilla bean into a food processor, add the sugar and pulse to combine. Transfer to a bowl. Pulse the cranberries with 1/2 cup of the vanilla sugar in a food processor until finely chopped (but do not puree), set aside. Whisk together 2 cups of flour, the baking soda, and salt, set aside. Beat together 1 stick of butter and 1 cup of vanilla sugar in the bowl of an electric mix at medium-high speed until pale and fluffy. Add the eggs one at a time, beating well after each addition. Scrape down the sides and bottom of the bowl. Reduce the speed to low and mix in the flour mixture and milk in alternate batches, beginning and ending with the flour, until just combined. Spread half of the batter in the pan, then spoon the cherries over it, leaving a 1/2" border around the edge. Top with the remaining batter and smooth the top. Blend the remaining 1/4 cup of vanilla sugar with the remaining 1 tbsn. of butter and 1 tbsn. of flour using your fingertips. 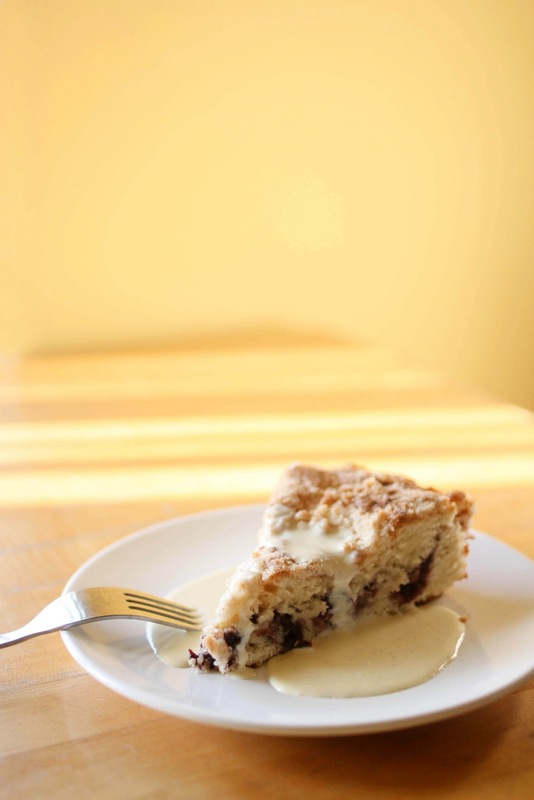 Crumble over the top of the cake. Bake until an inserted toothpick comes out clean and the sides begin to pull away from the pan, about 45 - 50 minutes. Cool in the pan for 30 minutes, then remove from the pan and cool completely, crumble side up. Sprinkle with powdered sugar, if desired. Fill a large bowl with ice and water, set aside. In a medium bowl, whisk together the egg yolks and sugar until lightened, about 2 minutes. Place the milk and heavy cream in a medium saucepan over medium heat. Scrape the vanilla seeds into the pan and add the pod. If using extract, hold off and add later. Bring to a simmer, reduce the heat to low. Whisk about 1/3 cup of the milk mixture into the egg yolk mixture to temper it. Return this mixture to the saucepan. Cook the creme anglaise over medium heat, stirring occasionally with a wooden spoon, until the mixture thickens to the consistency of heavy cream. If the sauce is overheated it will start to curdle, so it's important to stir constantly and to keep a close eye on the sauce. Discard the vanilla pod and strain the creme into a medium-sized metal bowl. If using extract, now is the time to add it. Place the bowl over an ice bath to chill until ready to serve. Store in an airtight container, refrigerated, for up to 4 days. 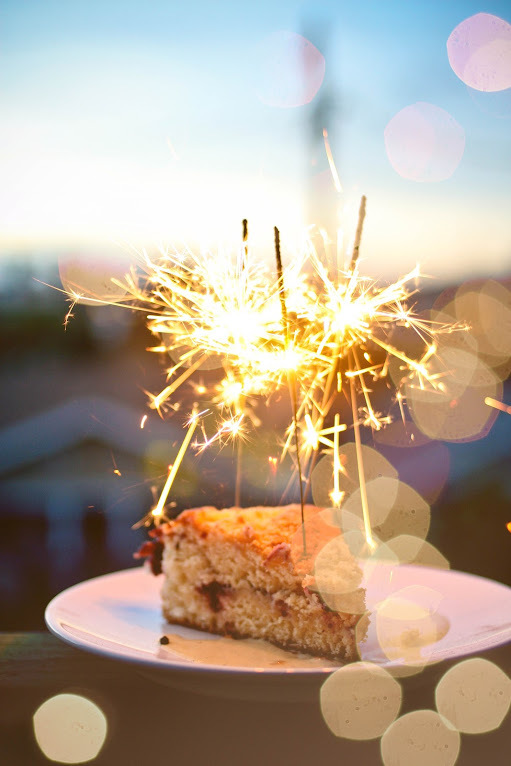 I think this picture summarizes my year and project perfectly: a bit sweet, a bit sparkly, and wholly wonderful. Hopefully, that's how my next year shall turn up as well. To see the rest of my 2010 - 365 photos, go here. woah that all looks soo delicious i wish i was there! ha.. must-try that coffee cake recipe. lovely post. Wow I think your meal was a great way to welcome in the New Year. All of the food looks equisite, but the Eggs Benedict Salad is probably my favourite because I've never seen that combination before! Happy New Year. I look forward to seeing more of your recipes and pretty posts in 2011. What a fab menu & great recipes! It all looks deelish :) Glad to have found a kindred soul in the bacon waffle department as well. Wow Michelle - it all looks and sounds ah-mazing! Happy New Year...I know it's gonna be an awesome one XD. This looks exquisite! I will have to get on those waffles ASAP. Wow, now THIS is brunch. What fabulous dishes!! I just looked through your flickr-stream and I wanted to tell you that I find your pictures amazing. So pretty and creative! Wow! 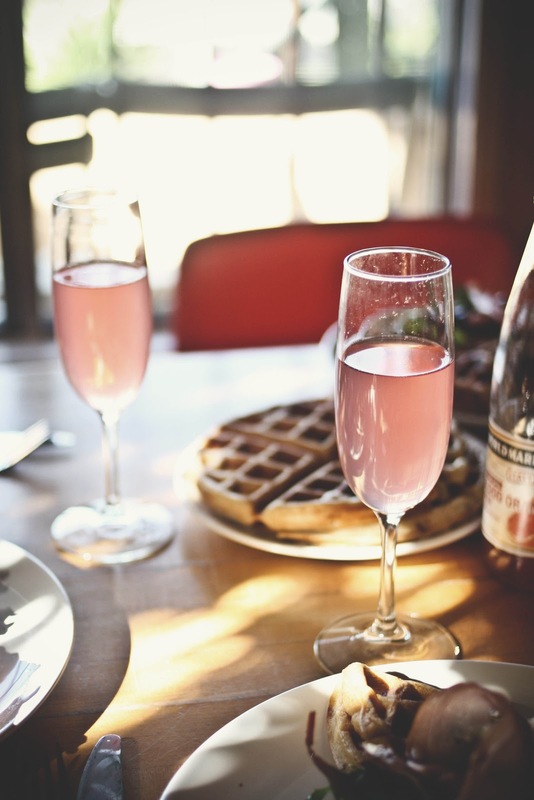 Gorgeous brunch - I love the idea of buttermilk syrup. I'll have to try it out because I seem to always have leftover buttermilk no matter what I do. Also, I'm so impressed that you completed a 365 Project! Congratulations! sorry, but your sweet cherry recipe mentions cranberries rather than cherries. I'm assuming it's an oversight...right?